An Exclusive Ghost Hunt limited strictly to only 10 Guests. Each room or garden has a rich story, unique smells and sounds and the entire house incorporates thousands of objects from around the world – all combining to create a truly extraordinary experience. for you about Fright Nights and our teams, plus Health and safety briefing. – Guided Tour of the building – Who haunts tonight? Are the energies felt, residual or intelligent? – Psychometry workshop – demonstrating the ability to discover facts about an event or person by touching objects associated with them. Sometimes the facts concerning an object can be sensed by being in close proximity of an object without any contact at all. – Mediumistic & Spiritual Vigils – Using our own personal senses, divining rods and pendulums plus glass divination & automatic writing experiments. – Use of Equipment to investigate the Paranormal. A Demonstration of our ghost hunting equipment… how they work and what we are hoping to achieve by using them. See the equipment in action and have a go for yourself! try your hand at ghost hunting. there is always the possibility that you have experienced something paranormal! DON’T FORGET THERE ARE ONLY 10 PLACES SO GET IN QUICK! sleep the night and have a light continental breakfast the next morning before you depart. This is going to be one of the most talked about events of the year as we celebrate or 20th Anniversary. Just email us at office@frightnights.co.uk and we can organise this for you. WE WILL HOLD A WAITING LIST FOR THIS EVENT. PLEASE SEND YOUR DETAILS TO: OFFICE@FRIGHTNIGHTS.CO.UK AND WE WILL ADVISE YOU NEARER THE DATE IF YOUR APPLICATION HAS BEEN SUCCESSFUL. Please note: Over 18’s only and NO pregnant women allowed as per our insurance cover. This Venue is unsuitable for disabled guests due to the nature of the building but if in doubt, please contact us for more information. NO accommodation is provided unless specifically detailed. For more information please see our full terms and conditions here. All our events are fully insured, and a First Aider will be present. This event is organised by Fright Nights Head Office. NO THIRD PARTY VOUCHERS ARE ACCEPTED FOR THIS EVENT. TO BOOK THIS EVENT WITH GENUINE FRIGHT NIGHT VOUCHERS, PLEASE CONTACT THE ORGANISING FRANCHISE BELOW, WITH YOUR VOUCHER SERIAL NUMBER AND ALL CONTACT DETAILS, INCLUDING MOBILE NUMBER & EMAIL. 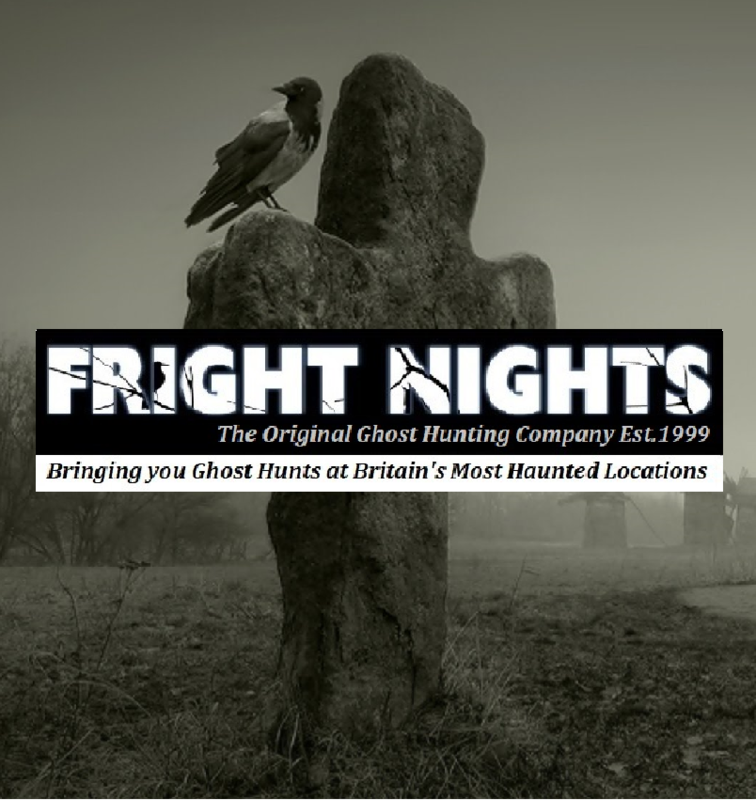 Fright Nights now in its 20th year, was established in 1999 and was the first company in the world to offer overnight ghost hunt experiences to the general public! 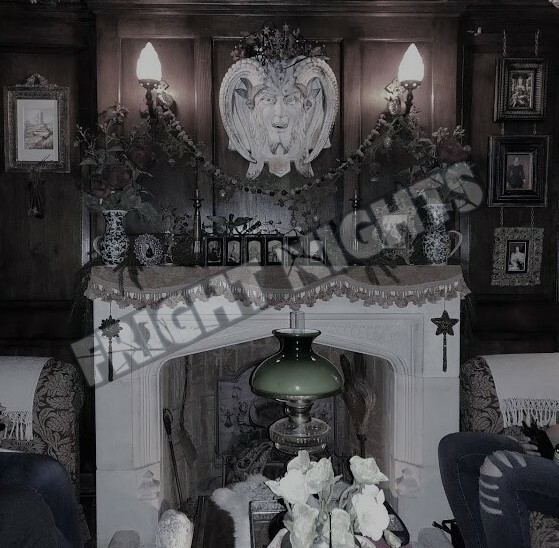 Hundreds of ghost hunters join Fright Nights every month for the most thrilling ghost hunting experiences available. Often copied, but never equalled! If you have never ghost hunted before, then have a go, it is an experience to remember! Event categories: Ghost Hunts.Event tags: Apparition, Castle, Divination, Elemental, Expert, Friday, Fright, Fright Nights, Ghost, Ghost Hunts, Ghosts, Glass Divination, Haunted, Haunted House, House, Hughes, Hunt, Investi-gating, Mansion, Medium, Mediums, Mills, Nights, Paranormal, Paranormal Investigation, Poltergeist, Saturday, Séance, Spirit, Spirits, Table Tipping, Venue, and Workhouse.